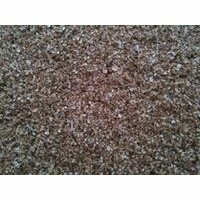 Brown rock salt is ideal for use on roads, pathways, driveways, highways, carparks and any area requiring de-icing. Excellent for use directly onto snow or ice and can be also used to prevent hazardous surface conditions by spreading pre frost and snow. 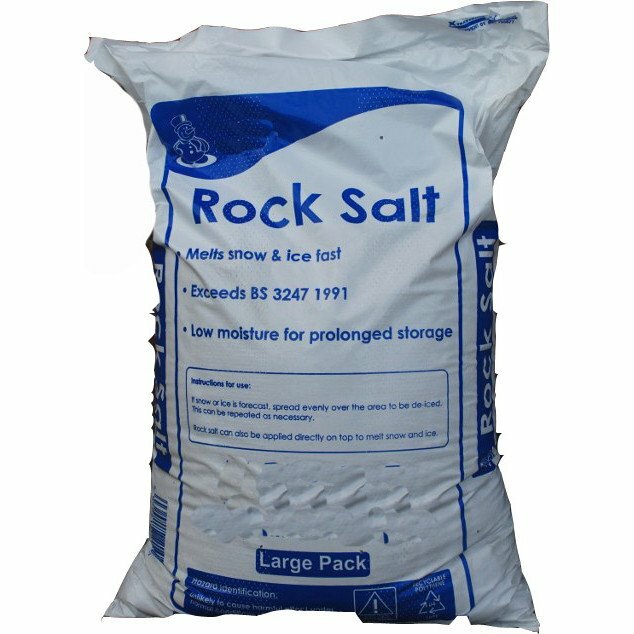 Rock salt supplied in 20kg bags. Similar ice melting performance as used by local authorities. Use directly onto ice and snow. Prevents ice and snow by pre spreading. Helps maintain safety in hazardous surface conditions. Apply the rock salt generously to the icy areas. Ice will start to melt away quickly. Thin patches of ice should be gone in a matter of minutes. Thicker patches could take far longer. You may want to let them melt away slightly and then remove them with a shovel. It should lift with ease after the rock salt has been left for several minutes. Remove ice with a brush or shovel. Thin icy areas may totally melt away, sweep or shovel away the thicker patches. Re-apply the rock salt as needed. With a healthy supply in stock should keep the dangerous icy patches away for the duration of the winter months.